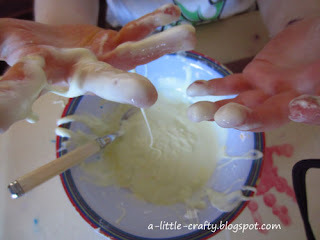 Cornflour gloop is always a bit of fun. 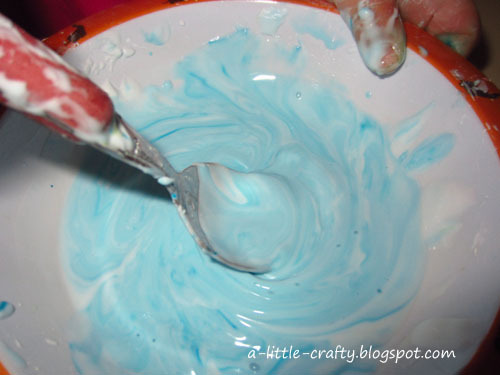 Put some cornstarch in a bowl, add water and colour, get messy. We also played treasure hunt, where I hid some small things in the mix, and the kids had to find them. Then, just for the educational side I talked about how this was an unusual (non-Newtonian) fluid because the faster you move it, the harder it gets.